Route optimization software offers one of the most affordable ways to significantly improve the profitability and productivity of your small to mid-sized fleet. Route optimization software allows fleet managers & route planners to input the addresses of the multiple stops for their fleet, and then generate the most efficient driving route, plus driving directions. In doing this, route optimization software reduces the miles driven, thus reducing your fleet’s fuel spend, wear-and-tear on vehicles, and labor overtime costs. Route optimization software also improves productivity. In many cases, a more efficient route allows fleets to fit that one additional pick-up, drop-off, or service call in the day, adding to profitability. How Do I Choose Route Optimization Software? The best route optimization software options for small to mid-sized fleets are web-based. That means the route optimization software is subscription based, and “lives” on a server that you access via the web. There’s nothing to install, maintain, or update on your own computer. Just sign up for the subscription, access your account, start optimizing routes, and start saving money. 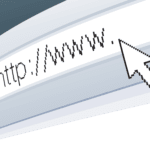 Since web-based route optimization software is accessed via an Internet connection, the best route optimization software should function equally as well across multiple standard Internet browsers, including Chrome and Firefox. There are a number of free route optimization software options on the market. But the free versions typically support up to 10 stops. If your business operations dictate more than 10 stops in a day, those free options just won’t work for you. The next step up is affordable, web-based route optimization that costs between $8 and $10 per month per user. These affordable but paid versions should accommodate multiple stops up to hundreds of stops. Net net: you’ll almost always need route optimization software than can handle more than 10 stops per day. Businesses offering pick-ups, deliveries, and service calls typically have more than one van or truck in their fleet. It stands to reason that the right route optimization software will allow fleet managers and route planners to optimize routes for multiple vehicles. Even better, truly inspired route optimization software will allow you to generate multiple optimized routes, and also visualize them on the same map at the same time, in a different color. When route planners can actually see all the routes, it usually becomes quite obvious that some stops should be re-assigned to a different vehicle to increase efficiency even more. Time is money in virtually every business. And nowhere is time more important than the business of pick-ups, deliveries, and service calls. There are many route optimization products on the market. 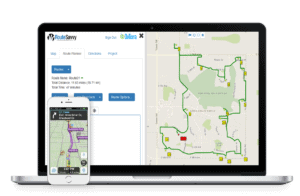 A well-built route optimization software offering should be able to process an optimized route in seconds. If you have to go get a cup of coffee while you’re waiting for the route to be optimized, you’ve got the wrong route optimization software product. The most efficient way to import specific location addresses into a route optimization software system is to upload it using a universal data format such as Excel or a CSV file. The same goes for exporting that information. Make sure that the route optimization software that you’re researching can accept location data through an Excel or CSV file. In this day and age, it makes no sense to manually type addresses into the system. Nothing makes a driver grind their teeth more than being given directions to a specific delivery or service location, only to find the directions are wrong. Be sure to choose route optimization software that uses up-to-date mapping data. It certainly happens from time to time that internet connections go down. Storms can take down service. A construction worker using a back hoe without determining where the data lines are running can take down service. It happens. So a good route optimization software system will have an auto-save function so that you don’t lose your data or your optmized route if the internet connection goes down while you’re optimizing a route for your drivers. Some drivers still use a print-out to determine their stops for the day, and how to get there. But more and more drivers are relying on tablets and smart phones. Make sure your route optimization software you are considering offers both capabilities: printing the stops and driving directions, or exporting the stops and driving directions to a smartphone or tablet. Additionally, it is especially helpful if your route optimization software can integrate with turn-by-turn navigation applications that speak directions to your drivers so they don’t have to take their eyes off the road. There’s a huge difference in the cost and complexity between route optimization software used for small to mid-sized fleets, than for huge multi-national corporations. Many users don’t even take advantage of advanced functions. So don’t pay for what you don’t need and won’t use. Route optimization software for small to mid-sized fleets should be affordable and feature the most-used functions that will truly have an impact on the profitability of your business. The typical cost for truly robust route optimization software should be no more than $10 per user per month. When researching and choosing route optimization software, be sure to watch for these 10 attributes to make sure you are buying route optimization software that’s right for your business. 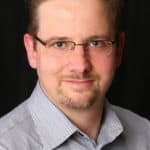 Steve Milroy is a recognized expert in route optimization software and geographic information systems. He is the president of OnTerra Systems, which has developed RouteSavvy route optimization software for small to mid-sized fleets. For more information, please visit: www.RouteSavvy.com.